I love a challenge. 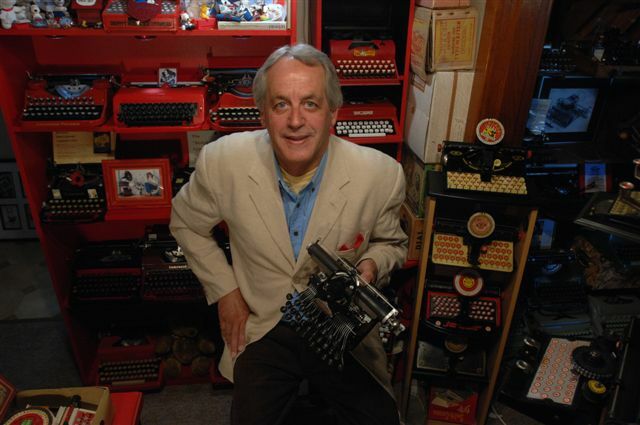 And Richard Polt threw down the gauntlet in Cincinnati this fine Canberra autumn morn, by commenting on the choices for the Typewriter Exhibition in Canberra from July-September. "Maybe you can show us some of the typewriters you're on the fence about, and let us chime in?" wrote Richard. I vote for the brown de Luxe and the red and black model P. The latter is a show stopper. Stunning. Red and black P and the brown de Luxe are my favorites too. I'm with Dwayne F. on the brown De Luxe and red & Black model P. Those look like very attractive typewriters, although I like them all. I totally agree with everyone here. Red&Black P and Brown Deluxe. Tough choice! I differ a bit from the others, my two favorites are the green & black model P and the smoky red. It's hard to go wrong, though. Thanks for offering us the challenge!